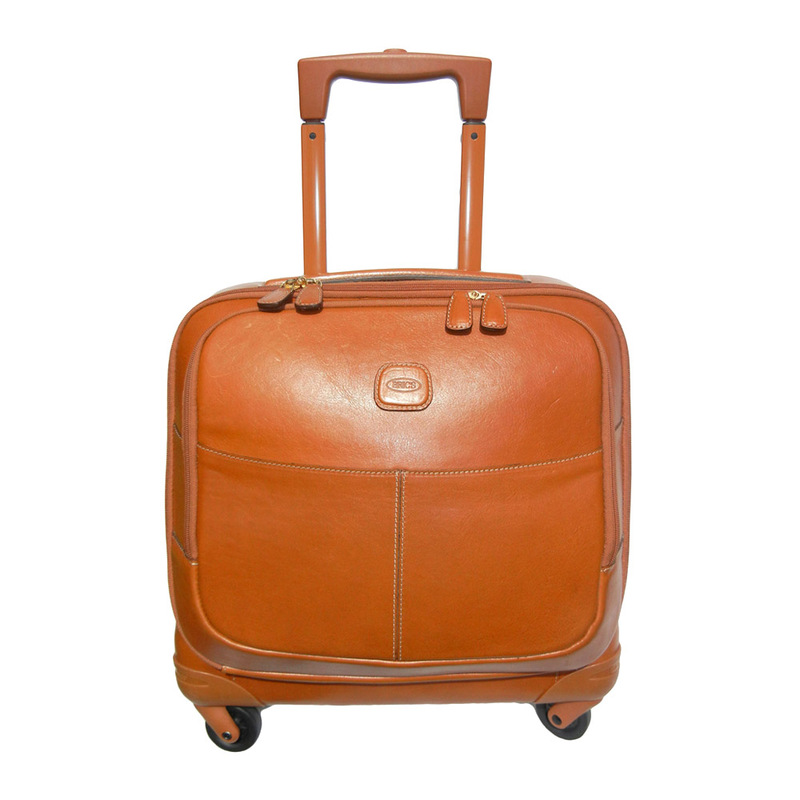 business trolley from Bric's LIFE PELLE collection. 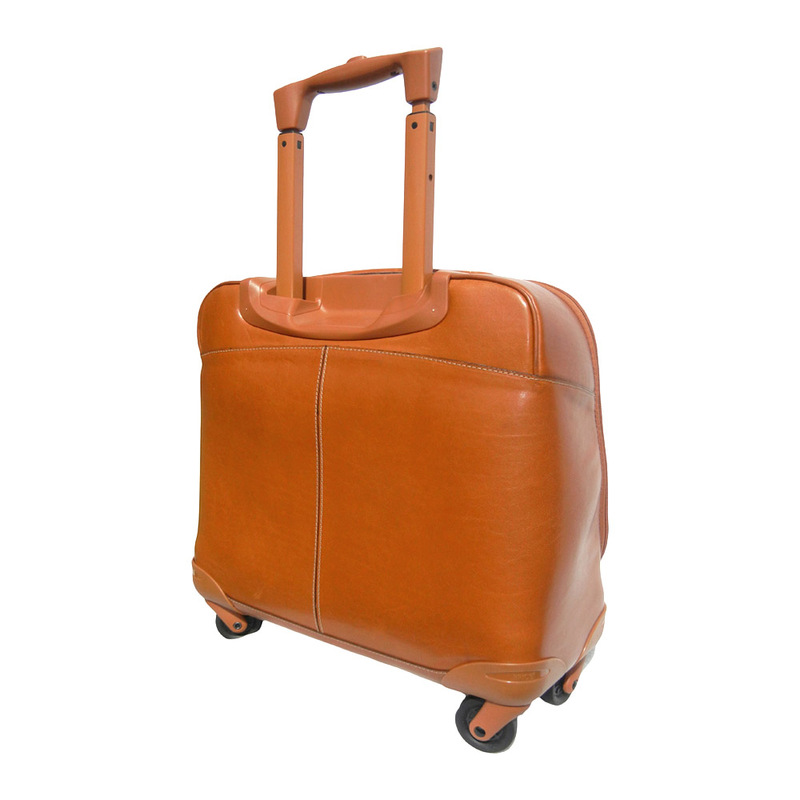 Made in fine, vegetable tanned, Tuscan leather, it will take on an aged look over time, making it unique and personal. 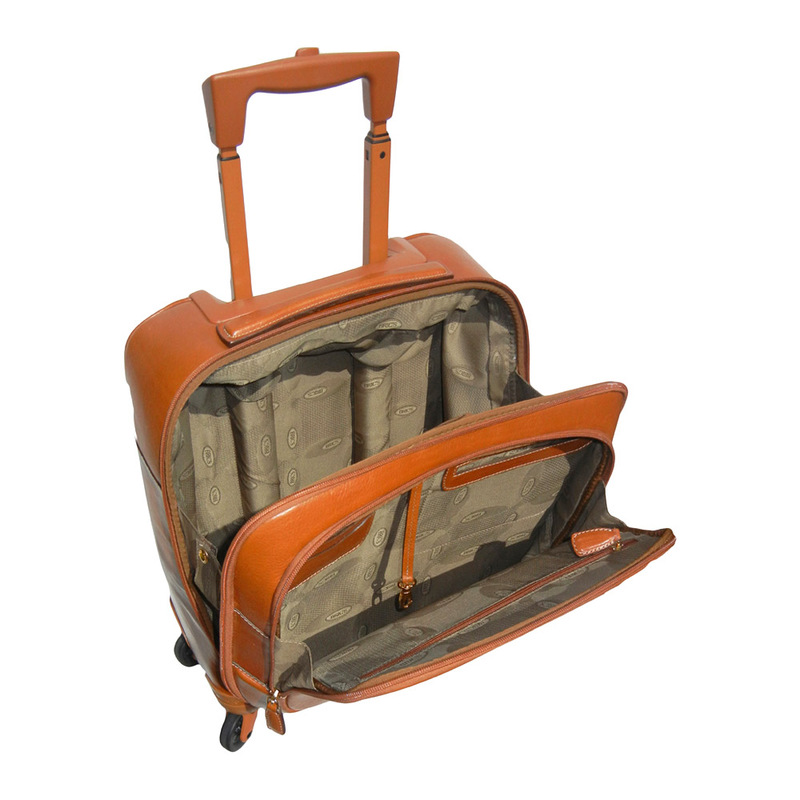 Perfect for people who are always on the move and look for practicality and comfort. 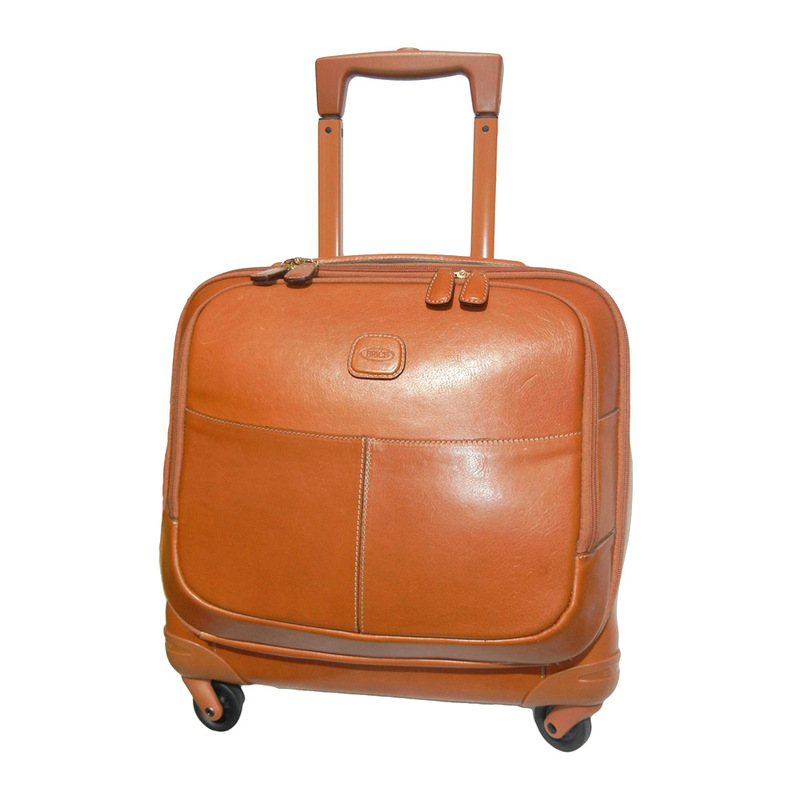 The dimensions of the carry-on trolley mean that it can be taken on board the plane with you as hand luggage. 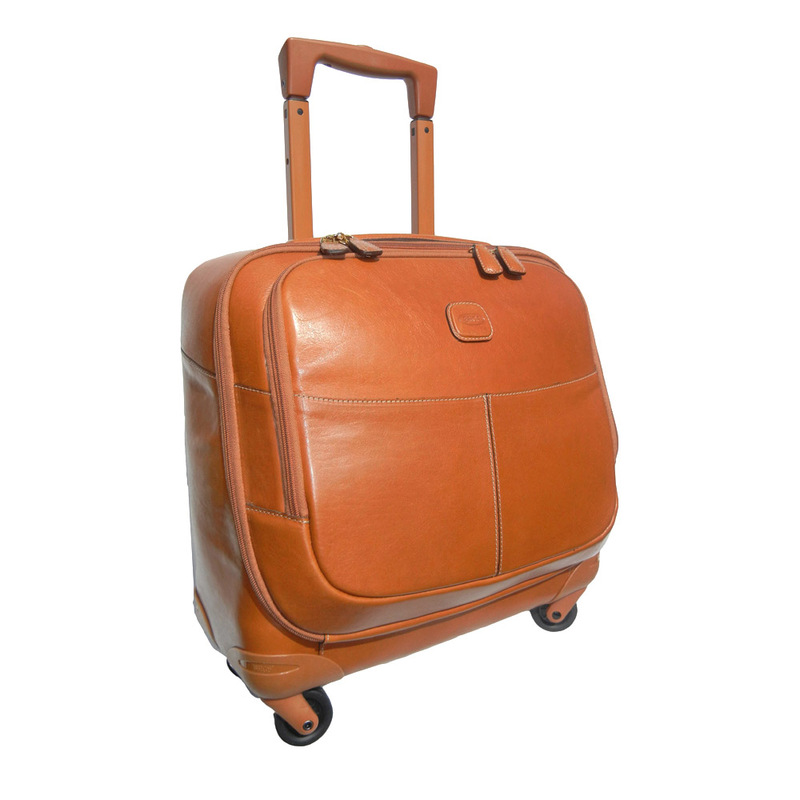 EXTERIOR: large zipped pocket with rounded edges on the front; pull-along handle that can be adjusted to various heights; top leather handle for ease of use when carried by hand; high quality swivelling wheels guarantee it can be moved in any direction with the utmost quiet. 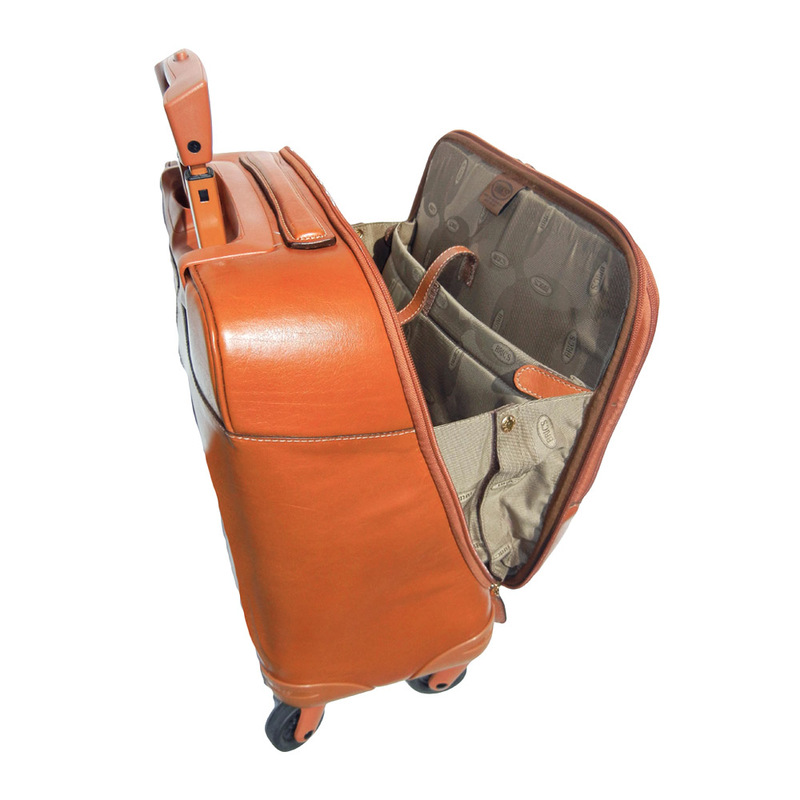 INTERIOR: main compartment includes a large laptop pocket with a Velcro fastening and a useful phone pocket with a Velcro fastening; the front pocket includes a business card holder and a zipped pocket. DETAILS: leather address tag included.